Previous 1st place winners of the men’s or women’s Mount Marathon Race. First 225 eligible finishers* from the previous year’s race. Top-10 eligible age-group finishers* from the previous race. Skip-A-Year applicants from the previous year. 10 year status is a racer who has completed 10 or more adult races (previously referred to as a veteran racer). Junior race finishes DO NOT apply to 10 year status. Runners with an approved deferral from previous year. Junior-to-adult racers who completed the race the previous year as a junior and have aged into the adult race. 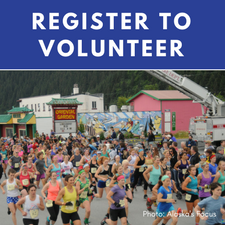 *One-year approved petitions and earned race spots (invitationals) are not eligible for priority status. Previous 1st place winners of the boy’s or girl’s Mount Marathon Junior Race. Eligible finishers* from the previous year’s Race. Runners with an approved waiver from previous year.